Whereas in mammals the tiny tubes that convey nutrients to bone cells are arrayed in parallel lines, in birds the tubes form a random pattern. The question tests your knowledge to pick out the elements compared in this sentence. This is a comparison question. (A)	Whereas in mammals the tiny tubes that convey nutrients to bone cells are arrayed in parallel lines, in birds the tubes : mammals vs birds : correct comparison. (B)	Whereas the tiny tubes for the conveying of nutrients to bone cells are arrayed in mammals in parallel lines, birds have tubes that Tiny tubes vs Birds. Incorrect. Originally posted by nakib77 on 14 Oct 2005, 13:34. Last edited by Bunuel on 28 Mar 2019, 22:15, edited 4 times in total. Illustration: Unlike/Wheras X, …………………, Y………….. In this construction X and Y are compared and we know that comparisons, on the GMAT, must always be logical and parallel. In B, tiny tubes are compared to birds. Also, voice should be maintained in a parallel structure; B clearly violates the rule. In C, D, E the “Unlike” comparisons that are made are illogical. In C and D mammals have been compared with bird’s tubes. Unlike should always be followed by nouns as Unlike follows the same rule as Like. So E is also incorrect as "Unlike" cannot distinguish between a noun and a phrase. A is the correct answer where the comparisons are logical. Q136 Whereas in mammals the tiny tubes that convey nutrients to bone cells are arrayed in parallel lines, in birds the tubes form a random pattern. 5) Unlike the tiny tubes that convey nutrients to bone cells, which in mammals are arrayed in parallel lines, in birds the tubes...........here which refers to cells and then this leads us to bird's tubes.....completely wrong modifier. The core is what is being compared with what: It is the tubes in mammals with tubes in birds; all other permutation combinations are just out. Looking at it, it is clear that only A does it meticulously. The sentence compares “tiny tubes in mammals” and “tiny tubes in birds”. B. Whereas the tiny tubes for the conveying of nutrients to bone cells are arrayed in mammals in parallel lines, birds have tubes that – wrong comparison of tubes with birds. E. Unlike the tiny tubes that convey nutrients to bone cells, which in mammals are arrayed in parallel lines, in birds the tubes – 1.which is having touch rule problem. 2. The symmetry is unparallel. I need to compare apple to apple or orange to orange, not apple to orange or orange to apple, as far i know. So, in E, 'tiny tubes' is compared with 'bird's tiny tubes'. Most of us think that the first 'tiny tubes' may be ALL 'tiny tubes' in this world, and the 2nd 'tiny tubes' is only IN birds. So, 'tiny tubes' in ALL and 'tiny tubes' in BIRDS are not the SAME thing; the comparison is NOT so sweet. So, if this the case, then in A, I think that 'tiny tubes' in MAMMALS and 'tiny tubes' in BIRDS are not the SAME thing at all! So, we can cross out choice A, too. . Do you think these two 'tiny tubes' are the SAME things, expert? Actually, what SHOULD we compare here? Should we compare just 'MAMMALS' with 'BIRDS' or 'tiny tubes' with 'tiny tubes'? In apparently, it seems that we're comparing JUST 'apple' with 'apple', we're NOT comparing ONLY 'apple' with 'apple'; we're comparing the first 'apple', which comes from 'apple tree' and the 2nd 'apple', which MUST come from 'apple tree' too. If the 2nd 'apple' comes from 'orange tree', then it is NOT pure comparison ,too. If THIS is true, then 'tiny tubes' IN MAMMALS and 'tiny tubes' IN BIRDS does not make pure comparison at all. 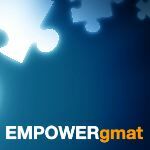 Thank you all GMAT club members. Price of an apple is more than price of an orange... do you think there is a problem with this statement? If my understanding is correct, you are suggesting that this comparison is mistaken as well - is it? Weight of this apple is less than weight of that orange-shaped alien-ship.. even then I do not see any problem. What do you think? The seeds of fruits are sweeter than the seeds of apples. The above comparison is not "sweet" because seeds of fruits already include the seeds of apple. Something can be as sweet as itself, not sweeter than itself. The seeds of the apples are sweeter than the seeds of the oranges grown inside that orange-shaped alien-ship. Slightly digressing from the comparison issue, but notice the other big problem with E. It says that bone cells in mammals are arrayed in parallel lines; the original sentence says that tiny tubes are arrayed in parallel lines. That's a total change in meaning. if this is the perfect parallelism that "the first apple come from apple tree and the second apple come from orange tree", then I'll not suggest anything, here. I accept your explanation. The child of Robert is longer than the child of Jain. Do you want to say that this comparison is not SWEET because 'child' of Robert already include the 'child' of Jain? I really could not understand what you mean. An elelphant can be heavier than a pen. For comparing an elephant with a pen, they do not require to have some common trait (such as, come from the same tree). Apple is a type of fruit, but Jain is not a type of Robert. "The seeds of fruits are sweeter than the seeds of apples." is thus incorrect, but "The child of Robert is longer taller than the child of Jain" is alright. I hope that you can see my point now. We already know that this is a comparison question, so we don't need to start with the obvious differences. Instead, let's look at the most common grammar rule that's tied to comparisons: PARALLELISM! There you have it - only option A compares two parallel items! If you can become familiar with the common problems with certain types of sentences (lists, comparisons, hypotheticals, etc. ), finding the right choice is much easier!